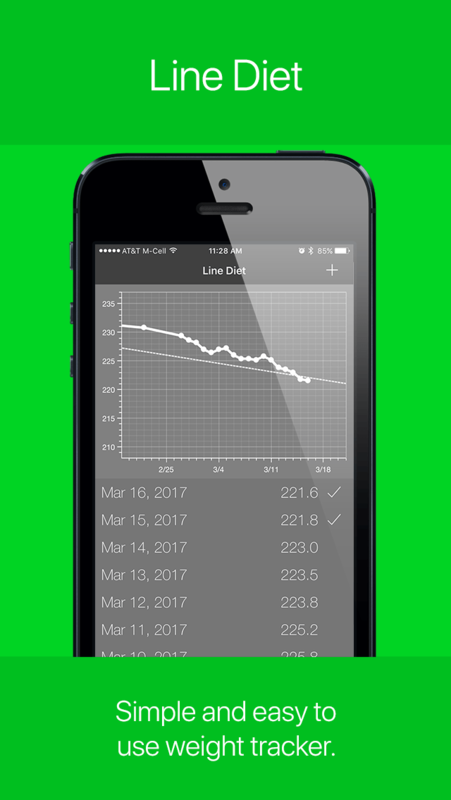 Line Diet is the simplest app on iOS and Android for weight loss tracking. Set a goal and plot your progress each day. If you are under your goal weight then eat normal, otherwise you are eating light that day. This simple concept is called the Line Diet, Bang Bang diet, or the Steve Ward diet. It's simple and it works. Try Line Diet now and make achieving your weight loss goals a reality! 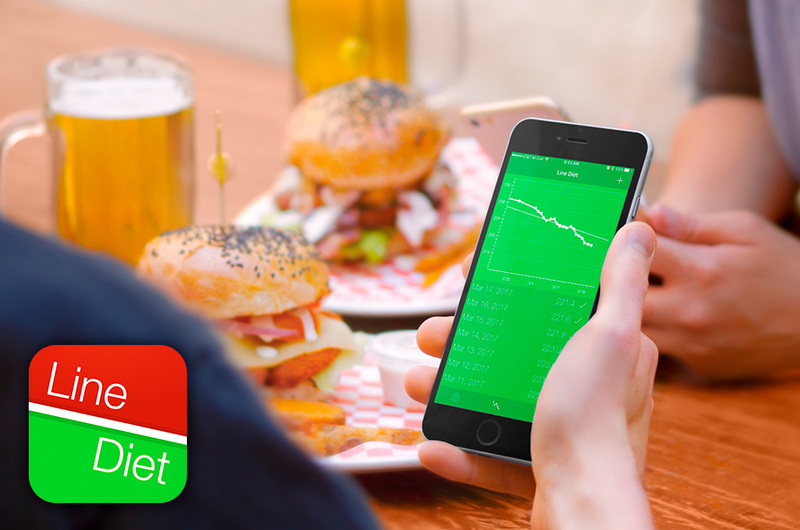 Get notified when Line Diet launches new updates and features! Set a goal and then track against that goal. If you're ahead of your goal then take it easy. If you're falling behind it's time to diet harder or get more exercise. Learn more about the line diet concept here or here. See daily summaries of how much weight you've lost and how much further you have to go. 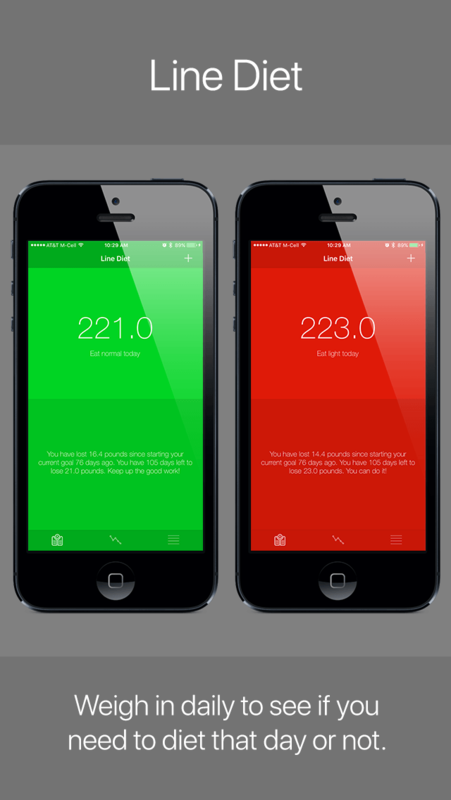 See graphs showing your progress against your goal line and review previous weight entries. 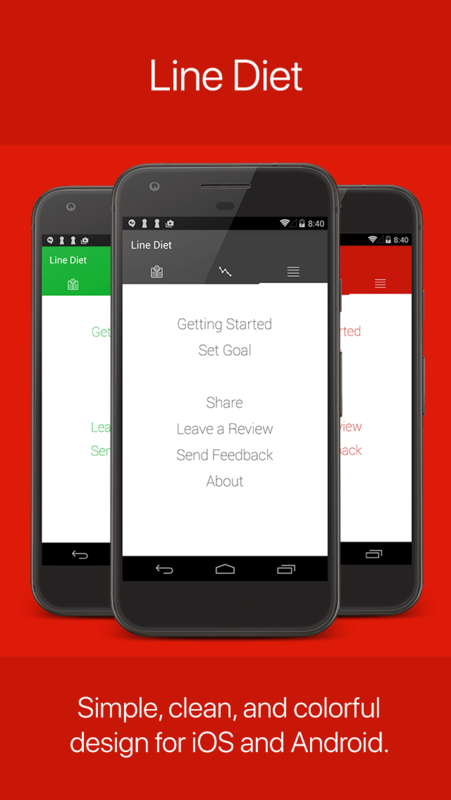 Line Diet was created by a single independent developer. Please show your support by telling your friends and family about Line Diet! 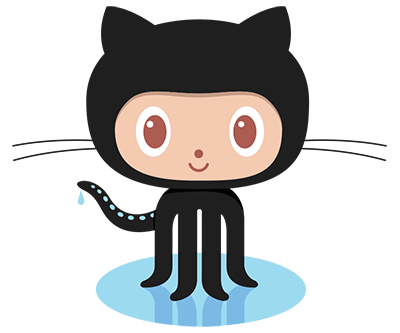 Line Diet is an open source project on Github! It is developed using Xamarin.Forms, Prism, and OxyPlot. If you would like to contribute or are looking to learn mobile development with Xamarin, check it out! Line Diet was created by @SmartyP of SmartyPantsCoding.com and AllMobileEverything.com. Have feedback? Send it in here!